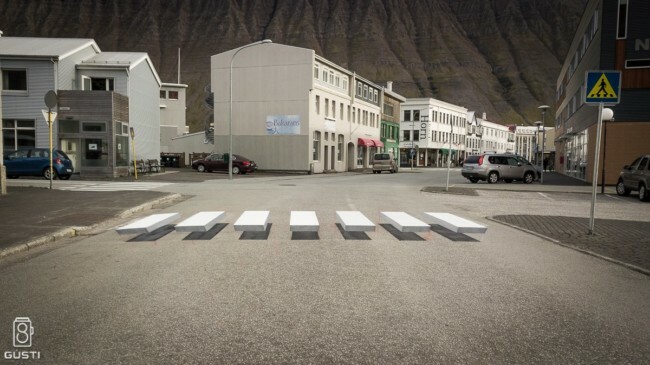 Mind the gap when crossing the road in Ísafjörður, Iceland, where the usual zebra-crossing has been given a third dimension by street painting company Vegi GÍH and the city’s environmental commissioner Ralf Trylla. The idea is to promote art and make drivers pay more attention when approach the crossing. Given the sensational scenery in Iceland, the zebra might be necessary in keeping drivers’ eyes on the road.